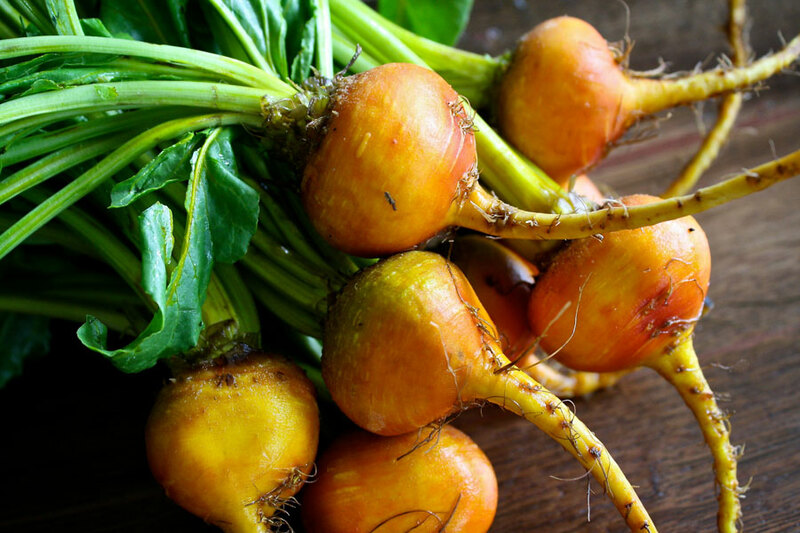 Touchstone Gold is an heirloom variety beet that is a huge hit in farmer’s markets and restaurants. 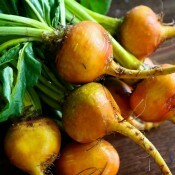 The smooth, round roots have red skin and blushing golden-orange flesh which is retained even after cooking. Aside from its striking colour, Touchstone Gold is known for its deliciously sweet flavour and fine texture. The tall green tops sweet and delicious, and have a very high resistance to bolting. 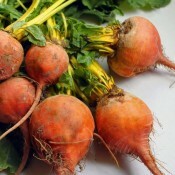 This beet variety is easy to grow, dependable, and heavy-bearing. 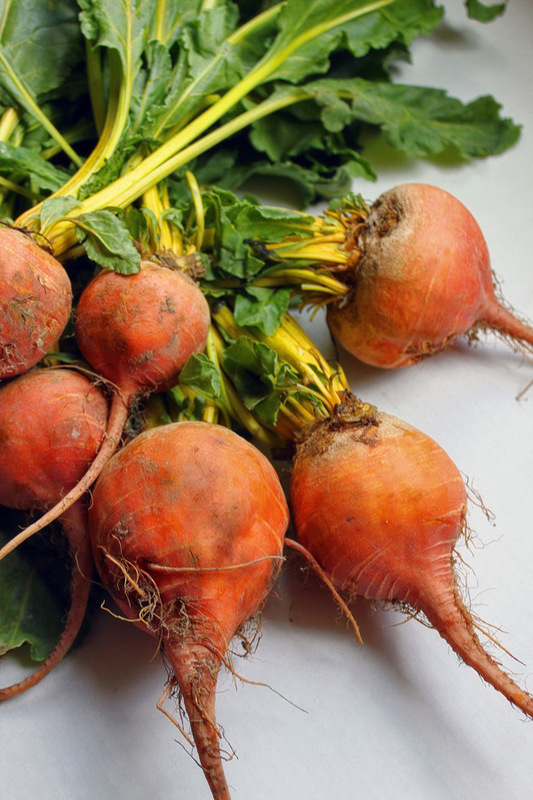 It is arguably the best yellow beet around!